your answers to @NASAJPL_Edu using the hashtag #PiDay. Answers will be revealed on March 16. Washington: If you like numbers, you will love March 14, 2015. When written as a numerical date, it’s 3/14/15, corresponding to the first five digits of pi (3.1415) -- a once-in-a-century coincidence! Pi Day, which would have been the 136th birthday of Albert Einstein, is a great excuse to eat pie, and to appreciate how important the number pi is to math and science. Despite its frequent appearance in math and science, you can't write pi as a simple fraction or calculate it by dividing two integers (…3, -2, -1, 0, 1, 2, 3…). For this reason, pi is said to be "irrational." Pi's digits extend infinitely and without any pattern, adding to its intrigue and mystery. At NASA's Jet Propulsion Laboratory, Pasadena, California, pi makes a frequent appearance. It's a staple for Marc Rayman, chief engineer and mission director for NASA's Dawn spacecraft. 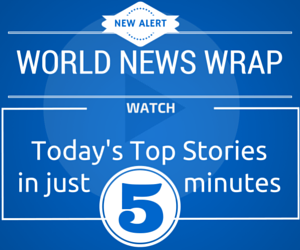 Dawn went into orbit around dwarf planet Ceres on March 6. Rayman uses a formula involving pi to calculate the length of time it takes the spacecraft to orbit Ceres at any given altitude. You can also use pi to think about Earth's rotation. "On Pi Day, I will think about the nature of a day, as Earth's rotation on its axis carries me on a circle 21,000 miles (34,000 kilometers) in circumference, which I calculated using pi and my latitude," Rayman said. Steve Vance, a planetary chemist and astrobiologist at JPL, also frequently uses pi. Lately, he has been using pi in his calculations of how much hydrogen might be available for chemical processes, and possibly biology, in the ocean beneath the surface of Jupiter's moon Europa. "To calculate the hydrogen produced in a given unit area, we divide by Europa's surface area, which is the area of a sphere with a radius of 970 miles (1,561 kilometers)," Vance said. Luisa Rebull, a research scientist at NASA's Spitzer Science Center at the California Institute of Technology, Pasadena, also considers pi to be important in astronomy. When calculating the distance between stars in a projection of the sky, scientists use a special kind of geometry called spherical trigonometry. That's an extension of the geometry you probably learned in middle school, but it takes place on a sphere rather than a flat plane. "In order to do these calculations, we need to use formulae, the derivation of which uses pi," she said. "So, this is pi in the sky!" Make sure to note when the date and time spell out the first 10 digits of pi: 3.141592653. On 3/14/15 at 9:26:53 a.m., it is literally the most perfectly "pi" time of the century -- so grab a slice of your favorite pie, and celebrate math! For more fun with pi, check out JPL Education's second annual Pi Day challenge, featuring real-world NASA math problems. NASA/JPL education specialists, with input from scientists and engineers, have crafted questions involving pi aimed at students in grades 4 through 11, but open to everyone. 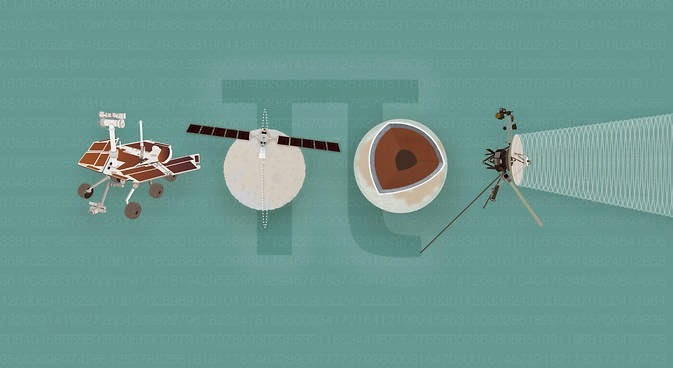 Download info-graphics and take a crack at them at: http://www.jpl.nasa.gov/edu/piday2015 .